Happy Father’s day Papa. There are so many things that this 36 years young daughter wants to share with you and i thought nothing would be best medium to express my love for you other than my own blog where you can read it someday and know the depth of my feelings. Though it is a challenge and very hard for me to put my true feelings in words but i have given it a try. Papa you know I always call you “My Best Dad in the World”. You are the best dad for me “I Love You” and am “Thankful” to you for everything you did for me. From the time i am born you are with me. You have always held my hands and prevented me from falling. I learned my first words to speak from you. You have never left me alone. From the time i could understand things and developed listening capacity you have guided me as God guides his children at each and every step. You showed me the right path. You helped me distinguish right from wrong. You taught me me how to read and write. You were my first teacher. You held my hands with the pencil and helped me write my first letter. I know Papa you had a very busy schedule but then also you gave me my time and played with me. You placed me on your lap and read for long hours because you had to conduct Law classes the other morning. I never felt i had a busy dad. You left me to my school in the morning and came to pick me up. You made sure i did my homeworks and projects on time. You even made my school projects so that i could complete my homework. You made sure i did my studies properly. You dropped me to my tution classes. You took care of all my small needs. No one could dare and come near me because you were with me like my armour. I lived in my “Fantasy World” with you. I never knew how the real world was. You made my world a dream land which never ended till i was with you. You took decisions for me and i had full faith that you will choose the right for me. You helped me fix my tuition teachers, went with me everywhere and helped me purchase the right dress with the right size. You were there for me standing like a pillar always. You took me to the doctor when i was sick and you asked so many questions for me to make sure i was healed on time. You shared all my pains and kept awake at night when i could not sleep. You told me my night stories so that i could fall asleep on your shoulders. You held my hands tightly when i was about to fall. You saved me all the time. You fought my battles. I just did my studies and never realized what the real world was. How good or bad things were because you kept me in the fantasy world. Papa you travelled with me to every place so that i could get a best college to study. When i chose my life partner you never hesitated and had full faith on me that i will choose the right person for me. Though my choice was not your choice and i now feel why after 10 years of my marriage. You then also supported me in every decision i took and told me to carry on because you saw your strength in me. Papa you told me “Beta you are a fighter. Never give in to life’s problems. You are born to Win. No one can defeat you”. Papa you know till today i believe no one can defeat me. When i stand for my own self and fight for my own rights no can can stand before me. I am myself fully sufficient to fight my life’s battles and win them. I believe Papa i am born to win. I believe Papa “I am born to create a Difference”. Papa you will be happy to know even in the gravest of situations when nothing worked in my favour i never lost hope. I fought with them and i have never looked back in my life. There were times when no one supported me and you stood like a big mountain and supported me from a distance. You know papa that support provided me so much of strength. Your belief in me is my strength and my life. When you call me Beta i feel proud to be your daughter. You are the only “Male” in this whole Universe whom i love the most and i also know you will be the only “Male” in this whole Universe whom i will love the most till my last breath. No one can be like you. You are simply different because you are my dad sent in this world only for me. God knew i will need you at each and every moment of my life. Papa if there is any living God on this whole earth it is you. I am a very spiritual person and this is something which i got from you. I do believe in God but never saw one, but when i see you i feel he must be a true copy of you. My God is with me all the time so i can never run short of any energy and no one can over power me. Papa you know the daughter you have nurtured with so much love, care and affection can now stand and fight her own battles but when you support her she is strengthened. Papa i know even if nothing works out in my life i will never lose hope which you gave me. You taught me to be happy under each and every condition. You always told me to look at the bright side of life. You told me whatever happens happens for good and some good is about to come. When we lose something we get other things of greater value. 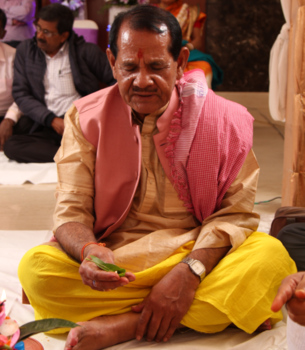 Papa you will be happy to know that i do believe in your belief and am proud to say you are my “Best Dad in the World”. When God comes on this earth he will be happy to know he created someone who was his true copy. PAPA I Love You. You are my Inspiration. You are my Motivation. You are my support. You are my Life. You are alive within me.